What is the fastest way to have network marketing success? 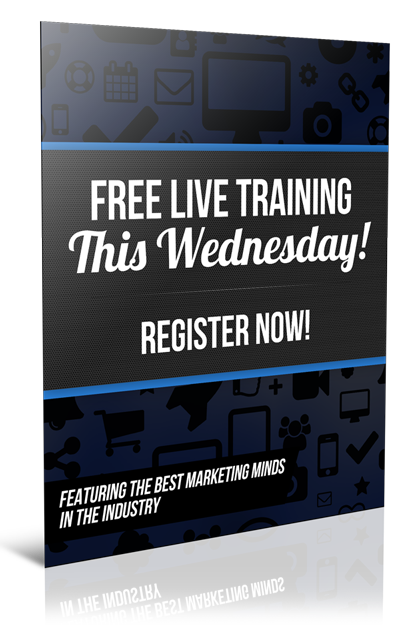 What is the fastest way to get to 6-figures in MLM marketing? What does it really take to ‘get in, get busy and get it done'? Taking massive – all-out PLANNED ACTION – to get the ball rolling and stack the odds of network marketing success more greatly in your favor. Here are even more pearls of real-world wisdom about what it really takes to enjoy intended success. 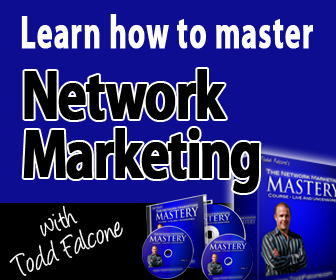 You need to PLAN for network marketing success. That means lay it out on paper… and communicate with others under your same roof. You don't simply take big action and start randomly swinging for the fences. What presentation tool or tools will you be using? Who are you going to talk to today? Is your list ready? Are you crystal clear on rank advancements and bonuses that can be reached during this all out, aggressive go at your business? Success doesn't happen by accident. And… if would be foolish of me to tell you that it does. PLAN for it. What do you need to make this happen? What must be set aside? Get yourself ready for it. Incorporate anything you can to help you get there. Use all of your experience, resources, connections, tools, and training to move forward quickly. Time is of the essence so be wary of things can take a lot of time yet fail to produce immediate, actionable results. Things like blogging and Facebook can be valuable time suckers. Do things that you can control right now and MAKE something happen. Focus your time on only the activities you know make you money! You are smart enough to know what makes you money and what doesn't. If you aren't spending every available waking/working hour talking to someone about your business or scheduling a time to talk to someone about your business, then it is the WRONG activity. Products sold, reps signed up, presentations made…that's where the gold comes from. Remember that. There's no time for distractions if you are serious about creating MLM success. You are going to have to be selfish for a while. Success in network marketing does not come without a price. Meaning, you'll have to say NO to a few people who want your time for stuff that's not part of this massive, all-out campaign you are running to get to 6-figures now. You can't afford for even a moment for something to slip into your life that doesn't align itself directly to your objective. If it doesn't fit in, you don't have the time for it. Period. Dig in hard to those that are ready now. The moment you find a Doer, you LAUNCH them. Understand something about this business. MOST of your money comes in depth. I repeat…MOST OF YOUR MONEY COMES IN DEPTH. It's the people, who find the people, who find the people that create the volume that ultimately produces the check. When someone is ready, get them going big…and get them going NOW. If it's trivial, skip it. Look at all the little things that easily eat up time in your day and get rid of them. Respond to email once a day, late at night. Dump the long hours on Facebook during this stretch, this run to 6-figures. Eat lunch at your desk…and quickly. You eat to fuel yourself, not enjoy yourself during a run like this. Again…don't get mad at me here. 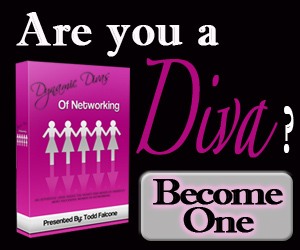 The title is “The Fastest Way to 6-Figures in Network Marketing”. You can enjoy a long meal later. There is no defeat. There's simply no time to get emotional. There are no ups and downs. You are on a mission and NOTHING will stop you from getting you where you are going. No whiner or quitter will impact you. No complainer will pull you in. No nay-sayers allowed. You are either buying their story, or they are buying yours. Which one is it going to be? Be on purpose. Everything you do during this period of time has a reason. Nothing you do is by accident or “off the cuff”. Remember, purposeful action leads to a specific, intended result. If your desire is to get to 6-figures… and do it quickly, you need to be aware of what it takes. It will take hard work, long hours, and intensity that you might not have ever experienced before… and for sure, a solid vision in your mind as to what you PLAN ON accomplishing. Network marketing success is within you. Now the rest is up to you. 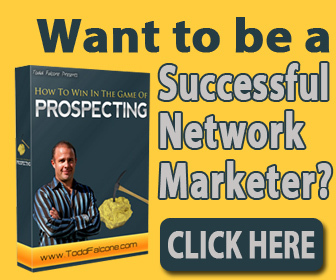 PS – Want to know what it really takes to be successful in network marketing? Do this, then this, then this? If you want to stack the odds of network marketing success stacked in your favor, it's step for you to step up!